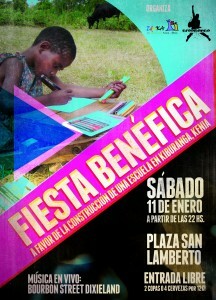 We already have a date for the next Fundraising Party! It will be next January 11 at Creedence, Zaragoza.. There will be a concert, contests and surprises! Free entrance. 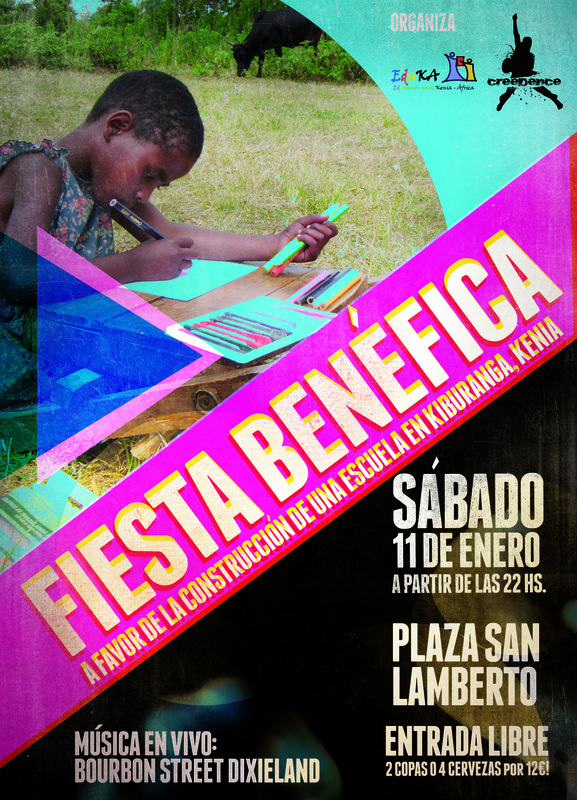 The money raised will be allocated to the EduKA project which consists of building a school. Don’t miss it! Come, enjoy and collaborate! You can order as many as you want and, also, your donation will be used to buy desks, chairs and shelves to furnish the school. Best gift for these days! Get your calendar and support a worthwhile cause! Sospeter Mahiri Chacha is the coordinator of the education project in Kiburanga. 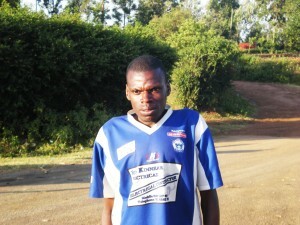 He’s 26 yo and is a member of the Kiburanga Women Self Help Group. He finished his studies in 2008 but couldn’t start University. – Where do you live and work? 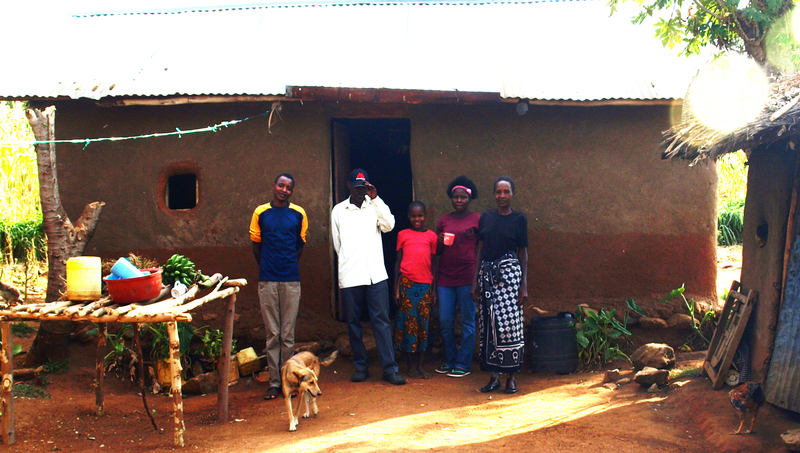 Families in Kiburanga live in small adobe houses. Most of them have their own pieces of land where they grow maize, from which they make a living. In the Kurian, culture, being Kuria the region they belong to, visitors are well treated. So, when a family has guest, they always offer them food: mandazis boiled potatoes or some tea. 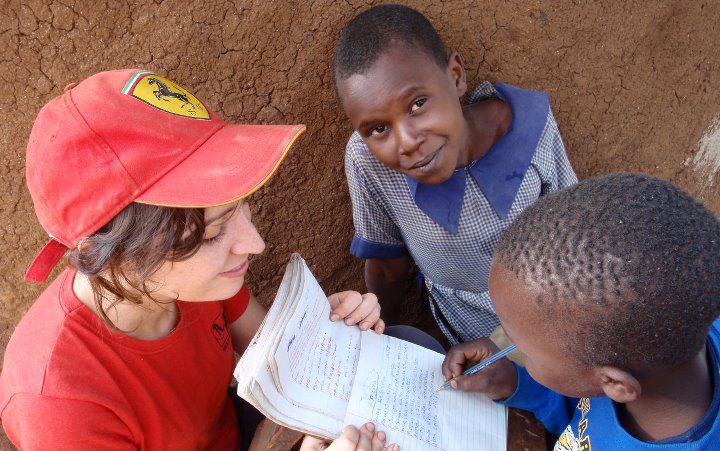 The three weeks that I spent in Kiburanga were the most different and extraordinary experience I’ve ever lived. I will never forget what I saw, lived and felt there and however much time goes by, all the people that I met and the thousand good moments I lived with them, will remain in my memory forever.